What horrors will haunt players in this upcoming event? Three poems may tell you what and how you'll be able to take them on. There will soon be happy hauntings in the world of Epic Games' hit game. Via Twitter, Epic Games and the Fortnite developers are teasing the arrival of some new gear and, possibly, new creatures that will be hitting the map during the Halloween-themed Fortnitemares event. If you have enough to last. What dangerous things lurk around the corner? 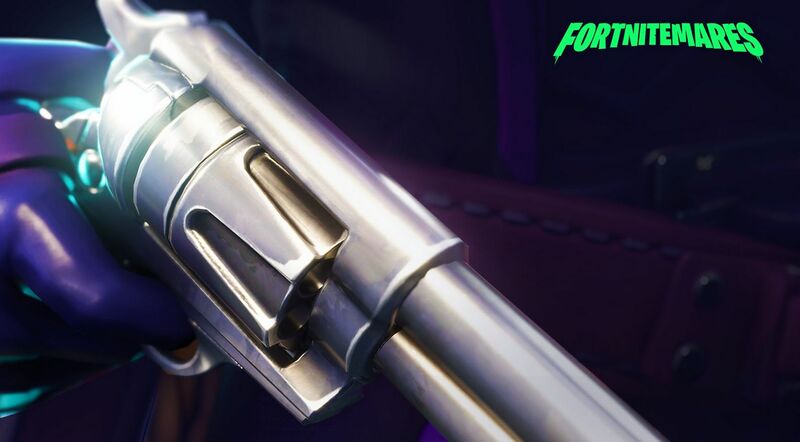 We'll have to wait and see when Fortnitemares goes live in the near future. If you're a bit behind on Fortnite news, the most recent full PC update for Fortnite is v6.10, which added in-game Fornite tournaments so the average joes out there can play competitively against the rest of the gaming world. TwitchCon 2018 is right around the corner as well and Epic Games recently announced their plans for the event. Fortnite will be in attendance in the form of the Fortnite Fall Skirmish and Stream-Vitational competition, where participants will be facing off for thousands of dollars. Fortnite is available on PS4, Xbox One, Nintendo Switch, PC, Android, and iOS. Stay tuned to Shacknews for additional updates.